Made of quality polyester fabric, fully lined, non-sheer and not stretchable. 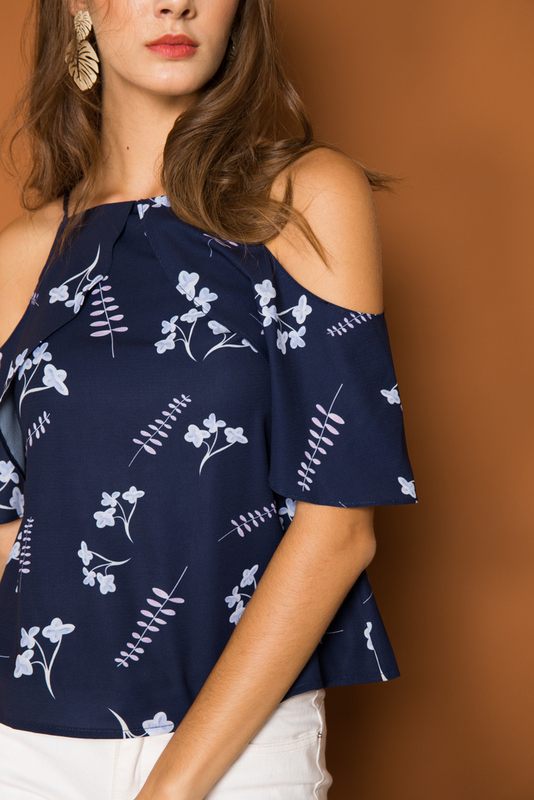 Features foliage prints on a halter design with cold shoulder sleeves. Complete with concealed back zipper. *Placement of prints may differ due to cutting of fabric.